If you were aboard the Blue Chip Please send me an E-mail with you name, Address, phone #, years aboard, Rank & Division, and I will add you to our Shipmate's list. Next U.S.S .Chipola's get together None setup yet. We need an "Area Commander" for the Portland Area. We have setup a meeting in Lebanon, OR. At the American Legion Hall for Monday morning Nov 21st 2011, at 10:00 until 2:00. Address is 480 Main St Lebanon. Lunch will be served for a fee. Veterans Discounts are avaibable at many business's Just ask. We now have Oregon Atomic Veterans Caps and Patches. 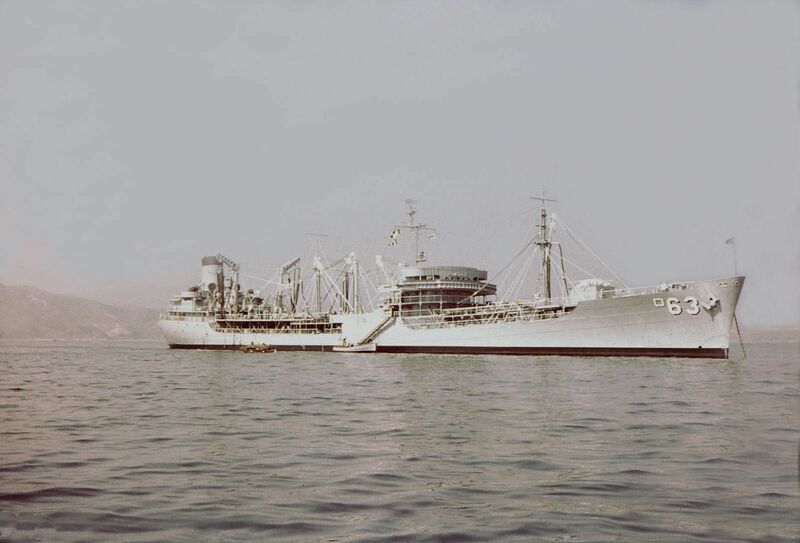 USS Chipola was in Hong Kong Harbor 1962, Newly Painted. No Amount of Ionizing Raditation is Safe! To find out about the amount of Raditation you got . Write and ask for your information. Call your State Veterans Affairs and asked to be put on the IRR. ION/RADIATION registry. Tell them that the agency that is taking care of the agent orange group is also doing the IRR. In most States it is Compensation and Pention unit.